The latest and probably the most groundbreaking operating system from Microsoft is Windows 7. Aside from the usual editions that provides different capabilities at different price points, you can also choose between a full version and an upgrade version for all editions. The most significant difference between the two is in the price as both software packages would be identical once installed. The upgrade version only costs around two thirds of the price of the original version, which is a major savings for those who can avail of it. Not everyone can take advantage of the upgrade version’s cheaper cost as there is a major condition to installing it. Unlike the full version which acts just like a traditional installer, the upgrade version requires that the computer you are installing it on has an older version of Windows installed on it. The older version of Windows required can either be Windows XP or Vista just as long as it is valid and has been activated properly. The full version can be installed on any hardware regardless of what has been installed on it prior to Windows 7. This behavior of the upgrade version can be a problem or at the very least an annoyance to those who often reinstall their operating system or even to ordinary users who experience computer troubles. Reinstalling the upgrade version would mean that you would also need to reinstall your older version of Windows and have it activated before you can install Windows 7. This adds an extra step to the already long process of installation and not to mention the need to keep the both discs and serial numbers safe as losing either would be a very big problem. Ben Joan. "Difference Between Windows 7 Upgrade and Full Version." DifferenceBetween.net. 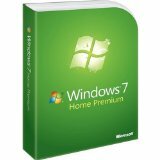 December 25, 2010 < http://www.differencebetween.net/technology/difference-between-windows-7-upgrade-and-full-version/ >.